HD stands for Hussein Dhalla. A self taught designer, born and raised in Toronto. From a young age he developed a flare for fashion and a desire to customize clothing and accessories to fit his own taste, his appreciation for superior fabrics, impeccable craftsmanship and vision for incomparable designs makes him unique. His passion for men’s fashion initially created for himself. He quickly became recognized as a man of style his creative eye for fashion became prominent during his years styling VIPs, celebrities and corporate professionals. With an elevated demand for customized suits, tuxedos, and dress shirts for his exclusive clientele, and projects accumulating, he decided to develop his own line: HD HOMME. 1. When I think of HD HOMME, the first words that come to mind are modern, sartorial, elegance. How would you describe the brand and who would the “HD HOMME Guy” be? The HD Homme guy is the Modern day gentleman. He likes to make a statement without saying a word. He knows how to dress and act like a refined gentleman. 2. Having experience as a top stylist in Canada, how did you find the transition in to designing menswear in comparison to styling? The transition has been smooth, but I will say designing requires a lot more creativity and the ability to communicate your vision through your design aesthetic can be stressful at times. 3. What would you consider your personal wardrobe essentials? Anything black. Well fitted black pants and a well tailored black blazer are essentials. 4. Breaking out into the Canadian Fashion Market the way that your brand has been able to do is very difficult to achieve. What steps did you take to achieve that success with the brand? I cant take all the credit. I have an amazing team. I make the clothes my team help me build my brand. 5. I am a huge fan of the patterned suiting that you showcased during your SS15 show at World MasterCard Fashion Week. 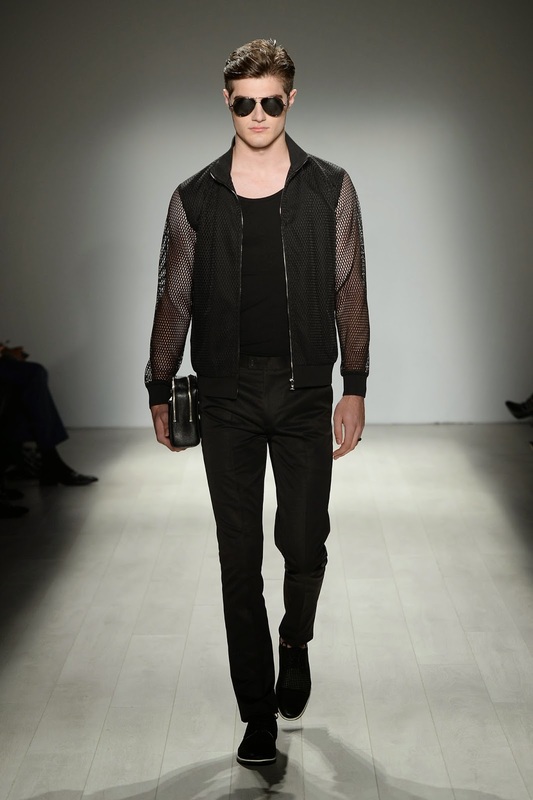 What can we expect from your FW15 show at Toronto Mens Fashion Week? 6. Having shown during Toronto Mens Fashion Week first season last year, did you find that there was an impact on your brand? Yes a great impact. The platform Tom* created was very helpful in establishing the highlight Men’s fashion needed. 7. If you could give any advice or words of determination to an emerging or new menswear designer, what would they be? Very important to remember Fashion is a business. Therefore build a good team and ensure your capital is in place.8. Where can men find and shop HD HOMME product (Include HD’s own Studio)?